It’s been a while since we published The WRUV Reader, but our passion for radio literature remains strong! Today we bring you a podcast drawing on the wisdom of Jurgen Habermas, a German philosopher who has delved further into the world of media discourse than your average genius. In this podcast, we take a look at how our private and public spheres collide in the modern media environment. Drawn from interviews with media voices local, national and international, The Habermas Podcast invites you on a journey into a social media age where your thoughts aren’t always your own. With these authorities and others, we discuss how your life might not be as private as you think. And, perhaps, you’re not as much of an individual as you believe. Thank you, listeners, for your attention and kind words these past few years as we’ve built Writers@WRUV on 90.1, WRUV-FM. We’ve been all about Vermont fiction, essays and poetry. Your calls and emails tell us that you have been, too. 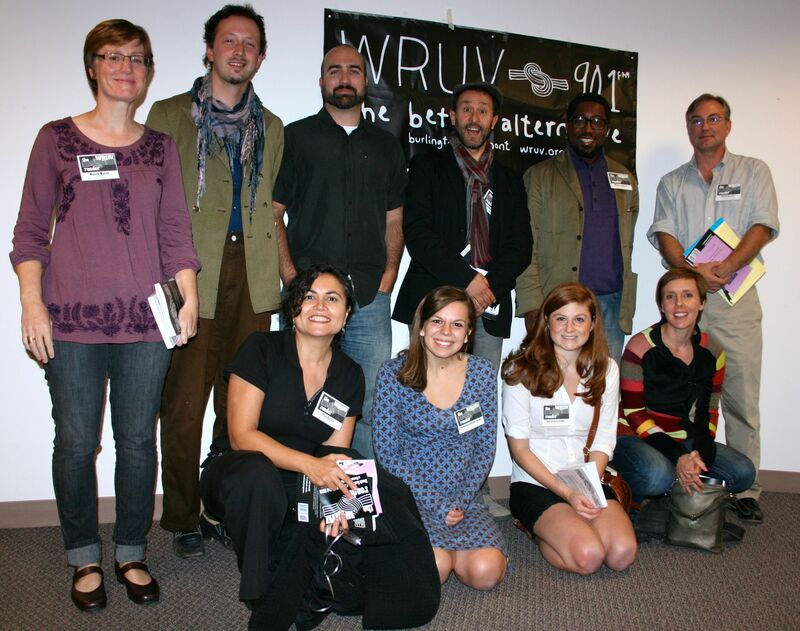 We launched The WRUV Reader in Fall 2012. Readers included (clockwise from left) Nancy Welch, Ben Aleshire, Aaron Smith, Antonello Borra, Major Jackson, Phillip Baruth, Abby Paige, Zoe Lewis, Theodora Ziolkowski and Tina Escaja. We’re going on indefinite hiatus. Doubtless we’ll be unable to resist hosting and posting the occasional reading from WRUV, so please do stay tuned. 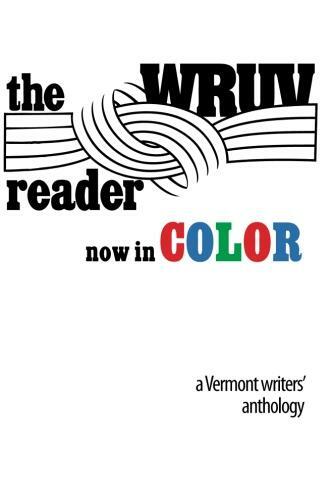 In the meantime, you can use this site to listen to our archived shows and use the list below to locate your own copy of The WRUV Reader, our 2012 anthology of the best writing heard on Writers@WRUV. Find your copy of The WRUV Reader in Burlington and online. Finally, thanks so much to our authors, who donated their time and their work. 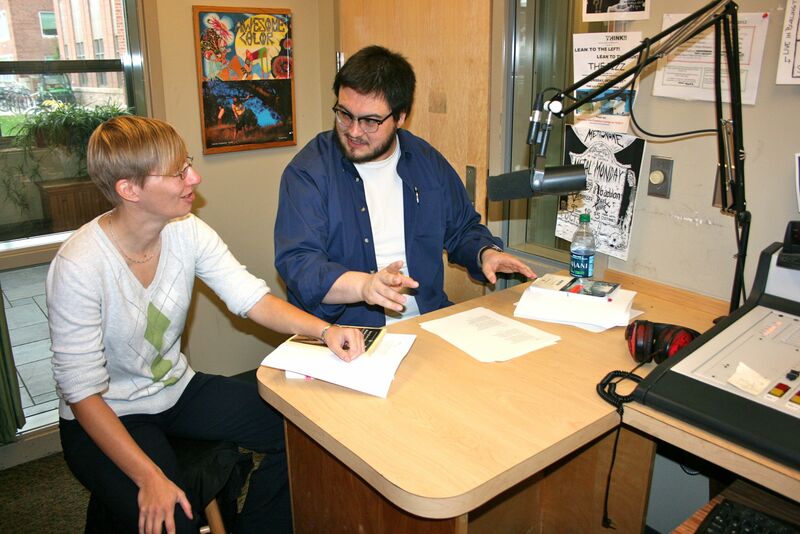 All proceeds from The WRUV Reader benefit media education at The University of Vermont, and your work allows us to make that education happen. Listeners, if there’s any writer who you would like to hear on the radio, you can still reach us at Writers@WRUV.org. Till then, keep it locked to your better alternative, WRUV-FM, 90.1 in Burlington. Today’s show featured student-poets Theodora Ziolkowski and Amy Hood, whose credits include publication in literary journals local and national. 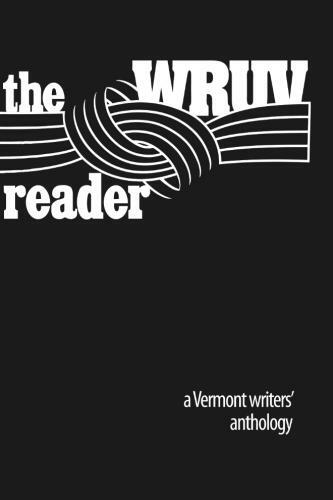 Theodora is also the first student-poet we feature in The WRUV Reader, our brand-new collection of fiction and poetry by Vermont writers featured on the WRUV airwaves. Theodora Ziolkowski is a 2012 graduate from the University of Vermont with a degree in English. Her work has appeared or is forthcoming in Harpur Palate, Prairie Schooner, Gargoyle Magazine, Caesura Magazine, Vantage Point, The Salon, The Burlington Free Press, and Concert at Chopin’s House, an anthology of Polish- American writers. In August 2011 she participated in the Seminar in Advanced Poetry at the Frost Place in Franconia, Vermont. She is the recipient of the UVM English Department’s Benjamin Wainwright Prize for Poetry. A writer of both fiction and poetry, Theodora plans to pursue an M.F.A. in creative writing. Amy Hood (for whom a photo is, sadly, not available) is a student born in California and New Jersey-bred. She is an English-French double major at the University of Vermont. She enjoys baking at odd hours of the morning, knitting, dying her hair, and the ocean. She started writing at 14, when she made friends with poetry books, parks, and the old maples that fence in her backyard in New Jersey. For more of Theodora’s writing, check out The WRUV Reader, which is also available on Amazon.com. 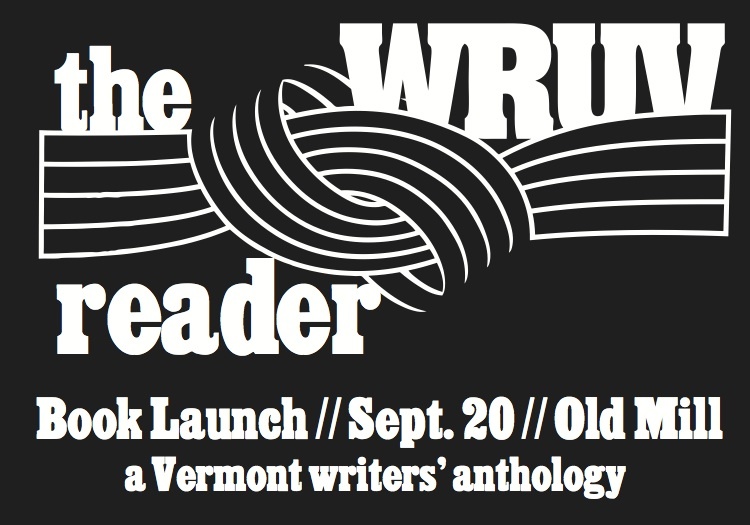 We have a wonderful 1o-set of local authors ready to speak at 7 tonight at the book launch of The WRUV Reader, a new publication featuring writers who have read their work on UVM’s radio station, with all proceeds from sales going to media education. The book is only 10 bucks, kids! At least at tonight’s reading. We can’t vouch for what Amazon will charge. We have a great set list of fiction writers and poets, students and profs, established and emerging authors. Here they are in the likely order of appearance, with some titles, when available, of what they’re expected to read. Zoe Louisa Lewis: The Execution of Sam Grant D.
The WRUV Reader will premiere Thursday, Sept. 20, in the John Dewey Lounge, on the third floor of UVM’s Old Mill. Reception begins at 6:30 with snacks, followed by readings at 7 p.m. Questions? Answers can be found by writing to Writers@wruv.org. 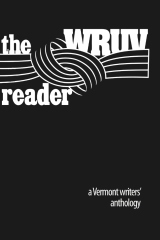 On Sept. 20, WRUV-FM will release its first-ever book, a collection of stories and poems by the many Vermont writers heard on Writers@WRUV. 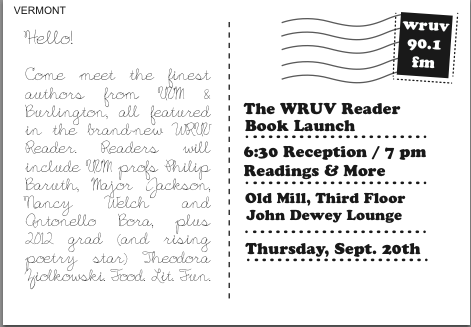 The WRUV Reader will premiere Thursday, Sept. 20, in the John Dewey Lounge, on the third floor of UVM’s Old Mill. Reading their own work from the book will be Major Jackson, Suzi Wizowaty, Greg Bottoms, Philip Baruth and more. 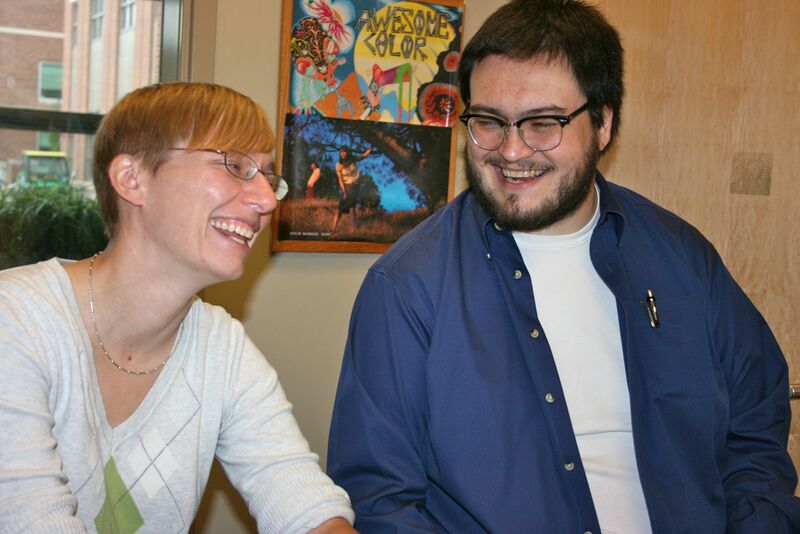 Reception begins at 6:30 with snacks, followed by readings at 7 p.m.
UVM teachers Isaac Cates and Liz Fenton stopped by this October for a poet-a-poet sonnet duel. Twas epic. 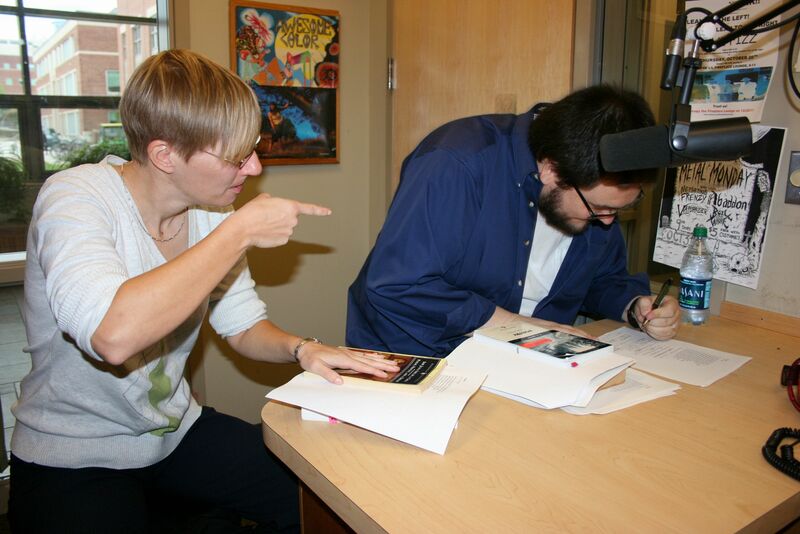 Elizabeth Fenton and Isaac Cates teach in the English department. Elizabeth specializes in early American literature. 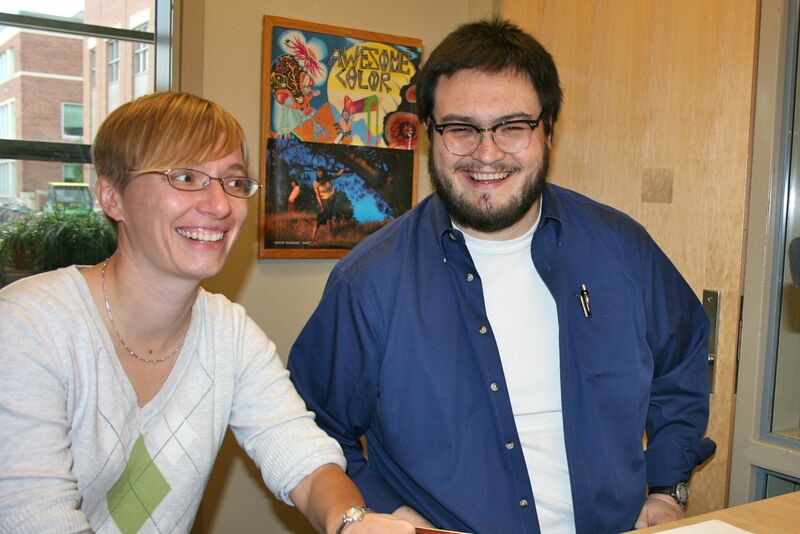 Isaac teaches poetry and creative writing. Why does the Yeti avoid us? Because “humans are beasts!” says Antonello Bora, our guest of April 20. In his first visit to Writers@WRUV, Professor Borra reads his original work in Italian and English, and he even offers up some work yet to be published this fall by Burlington-based publisher Fomite, a new press started by local fiction writer Marc Estrin. “I think that poetry is always an activity that has moral responsibilities, and I think that as a writer you do have to try and make your audience aware of issues that are common to each one of us and not just to the individual poet,” Borra says. Listen to the interview and reading here. Antonella Borra was born in Italy. He graduated from the University of Turin, Italy, in 1988. He earned his MA (1993) and PhD (1998) from Brown University. 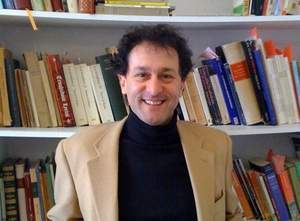 From 1998 to 2001, he was an assistant professor of Italian at Ithaca College in New York. In 2001 he joined the faculty of the department of romance languages at the University of Vermont as an aassociate professor of Italian. He is a poet, a translator and a scholar. He is the author of multiple volumes of poetry as well as books of criticism and language pedagogy, including Italian Through Film: A Text for Italian Courses and Italian Through Film: The Classics.